Mason's been begging me to make cookies with him the last few days so we made Apple Pie Oatmeal Cookies to celebrate United States of Cookies with a cookie recipe to represent each state. 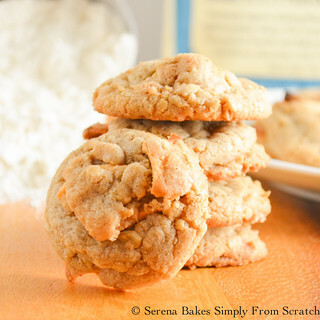 I feel Apple Pie Oatmeal Cookies are a great way to represent Washington, since we are known for our apples. 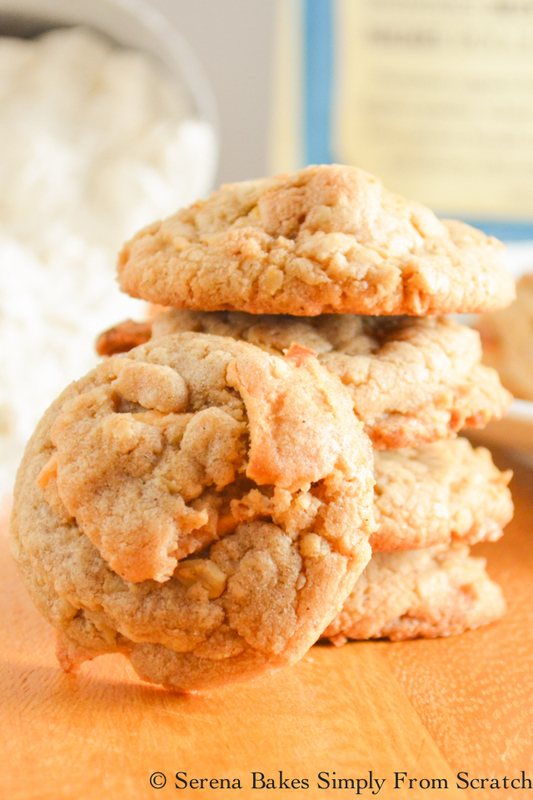 Apple Pie Oatmeal Cookies are a great addition to all the other traditional holiday cookies. Their soft, chewy texture loaded with chunks of dried apples, and plenty of cinnamon will quickly become a favorite! 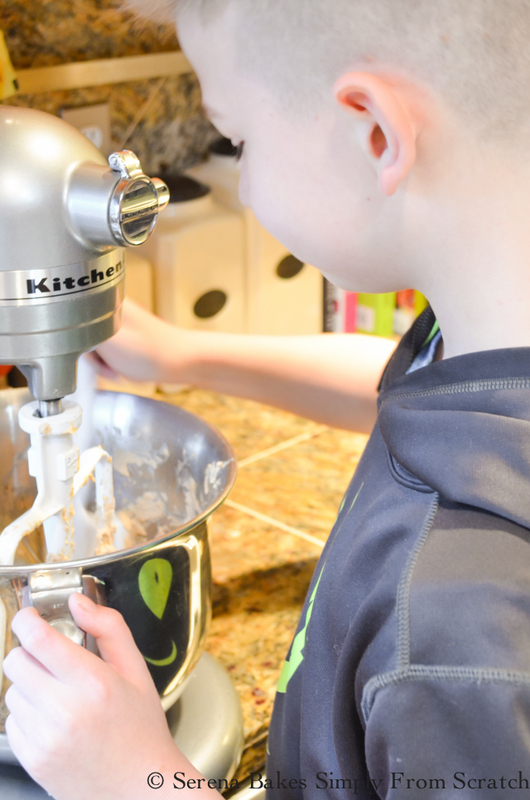 Every state has something that truly makes it special and we are celebrating that with 50 states, 50 bloggers, and 50 cookies, with one mission - to bring our country together for a sweet treat! You can visit United States of Cookies website to find out more! 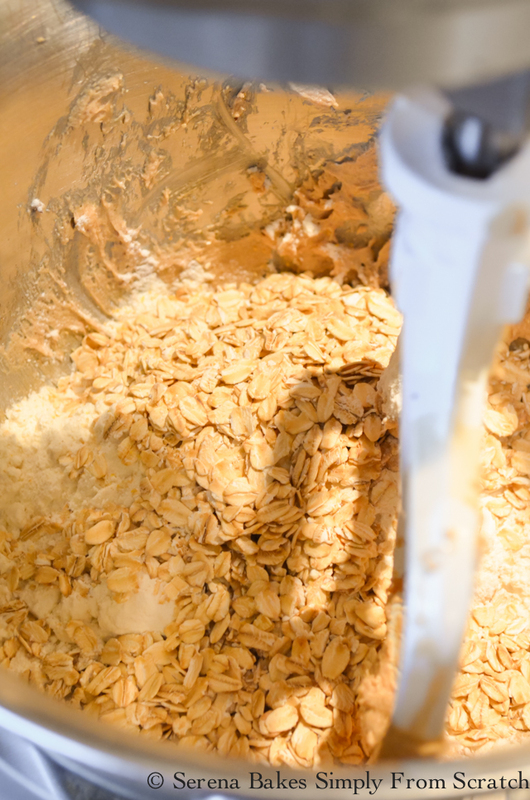 Apple Pie Oatmeal Cookies start out with Bob's Red Mill Unbleached Organic All-Purpose White Flour. It's freshly milled from Organic hard red wheat. Both the bran and the germ have been removed leaving the endosperm that is made into white flour. It is not enriched with any additives. 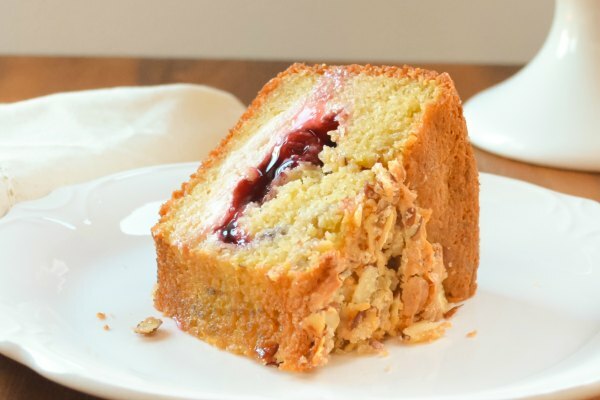 This is the same high protein flour used by professional bakers, and an incredibly versatile kitchen staple perfect for all your baking needs. Here's a link to a money saving coupon! 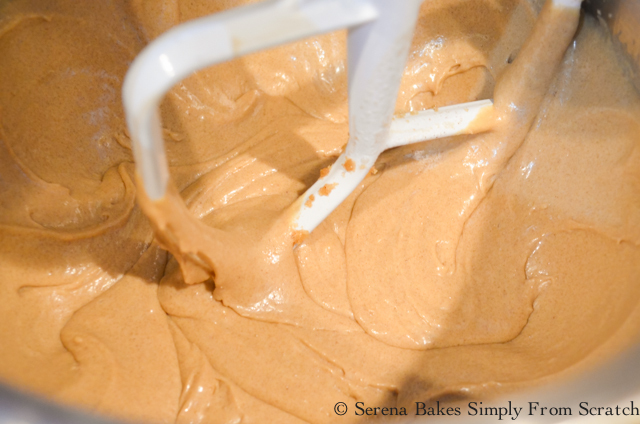 In a medium sized saucepan brown 3/4 cup Butter until light brown and nutty smelling, being careful not to burn. Add Brown Butter to mixing bowl along with remaining 1/4 cup Cold Butter. Stir until butter is melted. 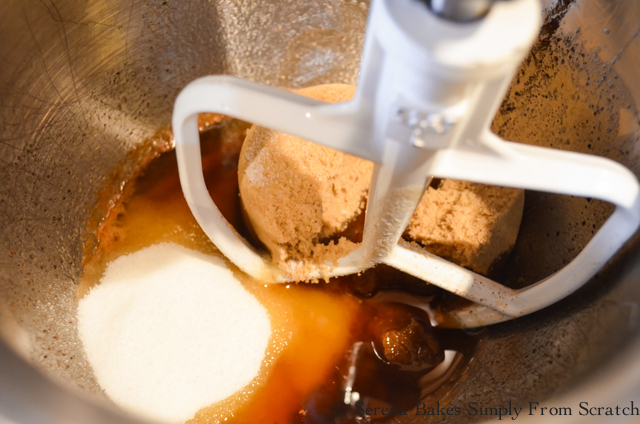 Add 1 1/4 cup Brown Sugar, 1/2 cup Granulated Sugar, and 2 teaspoons Vanilla Extract. Mix until well combined. 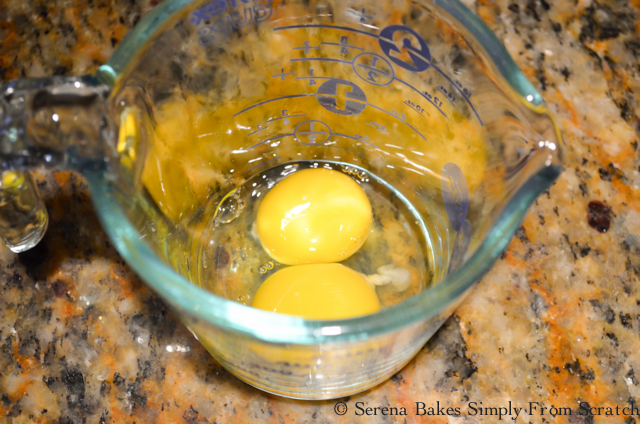 Whisk together 1 whole Egg, and 1 Egg Yolk, until well combined. 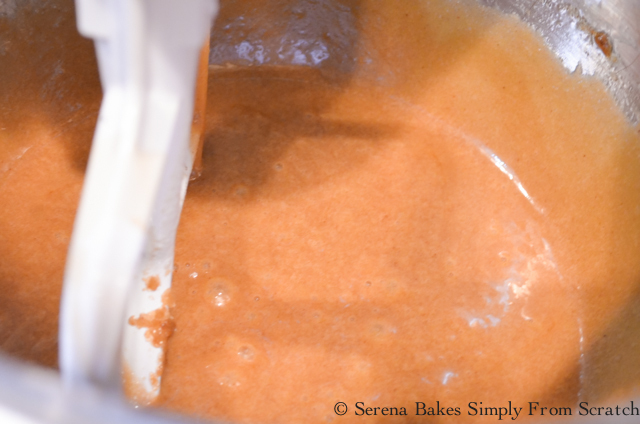 Add Egg mixture to sugar mixture and beat on medium-high speed for 30 seconds. Let rest for 3 minutes. Repeat beating for 30 seconds and resting for 3 minutes, repeating 3-4 times. Until mixture becomes thick and pale yellow. 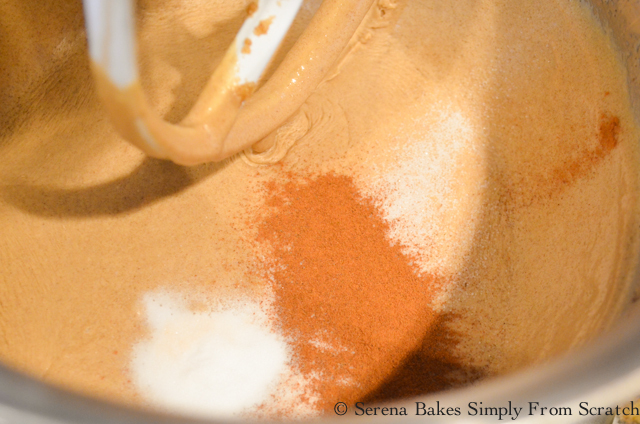 Add 1/2 teaspoon Salt, 1/2 teaspoon Baking Soda, and 1/2 teaspoon Cinnamon. Mix for 30 seconds. 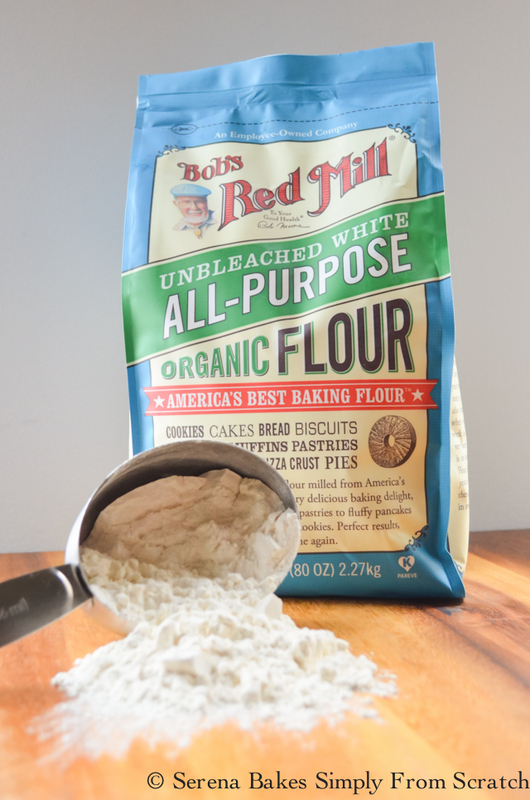 Add 2 cups Bob's Red Mill Organic Unbleached All-Purpose Flour, and 1 cup Rolled Oats. Mix until well combined. Stir in 2 cups Finely Chopped Dried Apples, think chocolate chip size. I prefer a tarter dried apple like Granny Smith but feel free to use your favorite. Drop Apple Pie Oatmeal Cookie Dough onto an ungreased baking sheet spaced about 2" apart using a standard sized cookie scoop or a heaping tablespoon. Bake in a 375 degree oven for 8-10 minutes until edges are lightly brown. Allow to cool for 1-2 minutes before removing to a cooling rack. 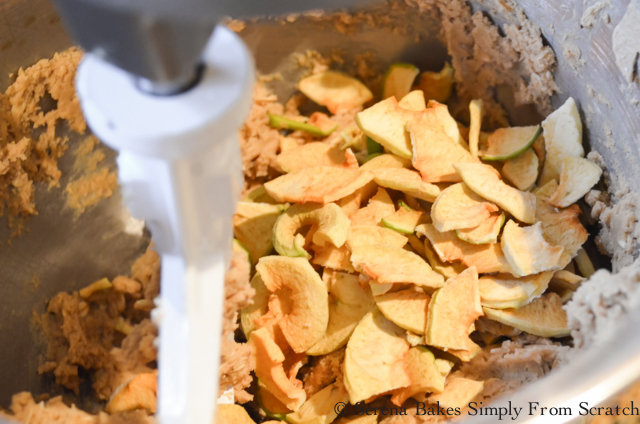 Apple Pie Oatmeal Cookies are a fun way to change up the holiday cookie trays! They taste just like Apple Pie in each bite! Make sure to grab the recipe in the easy to print form below! A cookie that taste's just like taking a bite out of Dutch Apple Pie! Apple Pie Oatmeal Cookies are a fun addition to holiday cookie trays! In a medium sized saucepan brown 3/4 cup butter over medium heat until light brown and nutty smelling. 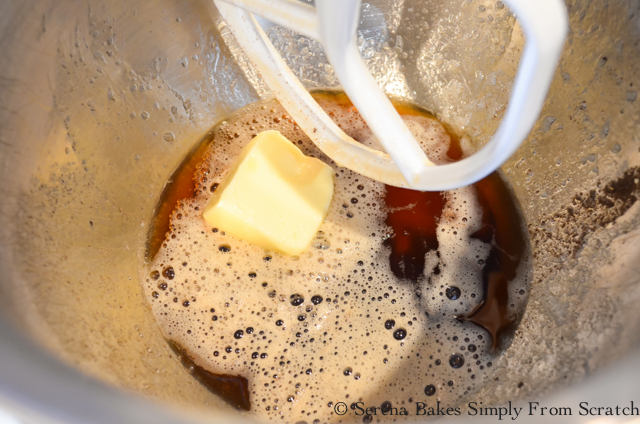 Add brown butter to mixing bowl and add remaining 1/4 cup cold butter. Stir until butter has melted. Stir in both sugars, and vanilla, until well combined. 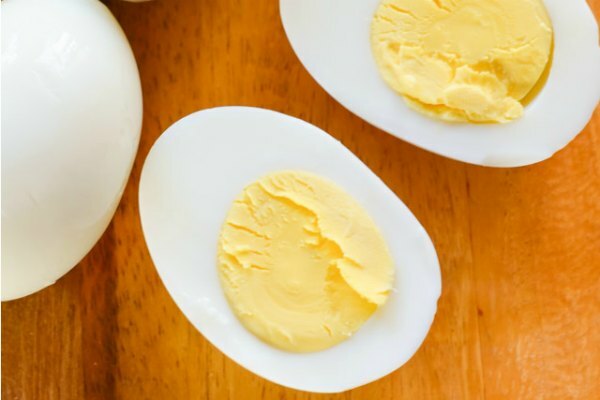 Mix whole eggs with egg yolks and add to brown butter/sugar mixture.Beat on medium high speed 30 seconds. Let mixture rest 3 minutes. 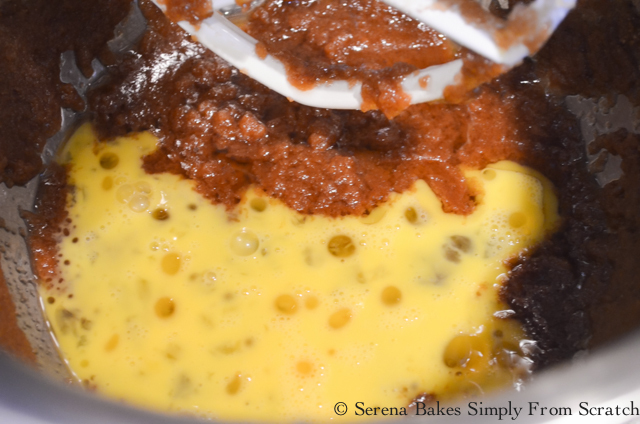 Mix another 30 seconds and rest for 3 minutes repeating until butter mixture becomes thick and pale yellow. Add salt, baking soda and cinnamon, mix for 30 seconds. Scrape down the sides of bowl. Add flour and oatmeal. Mix just until combined. Stir in dried apple. 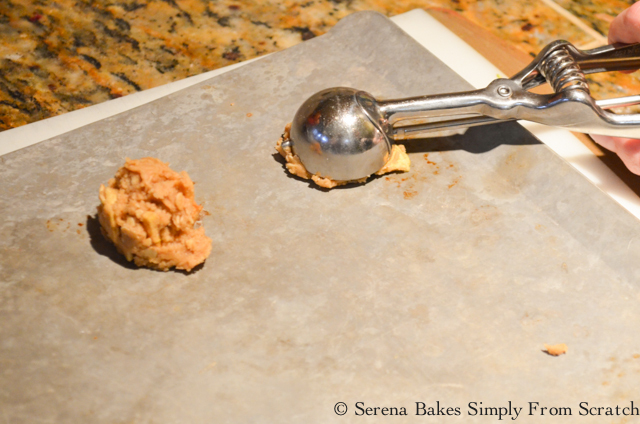 Drop Apple Pie Oatmeal Cookie Dough onto an ungreased baking sheet spaced about 2" apart using a standard sized cookie scoop or a heaping tablespoon. 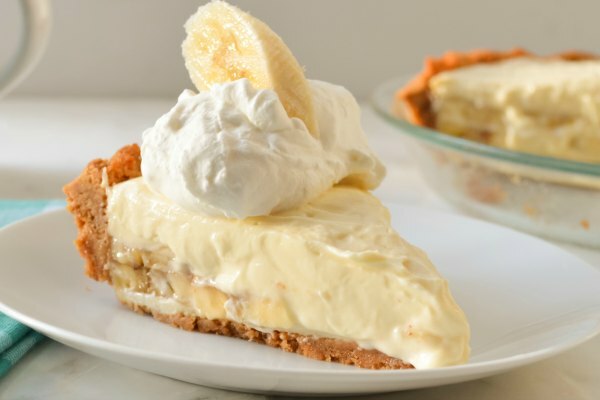 Bake for 8-10 minutes until edges are lightly brown. Allow to cool for 1-2 minutes before removing to a cooling rack. Store cookies in an airtight container.